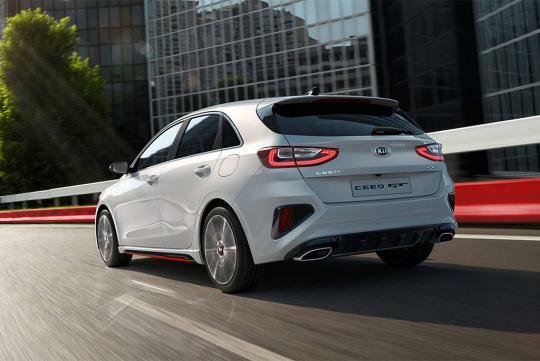 Along with the new ProCeed Shooting Brake sibling, Kia revealed its new Ceed GT hot hatch. It is powered by a 1.6-litre T-GDi engine that produces 201bhp. 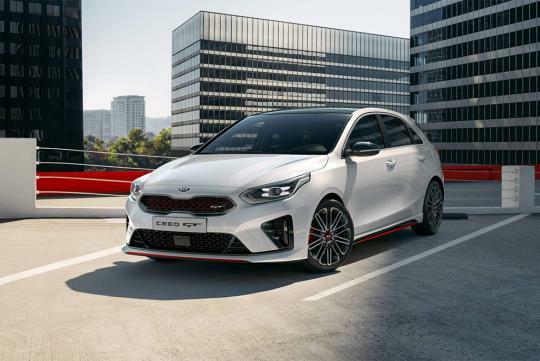 Marketed not as an all-out time attacking hatch like the current crop of 300bhp hot hatches, the new Ceed GT hatch wants to be known as a good road car for the keen driver. Like its predecessor, it uses the similar turbocharged engine and outputs a decent 201bhp and 265Nm of torque. 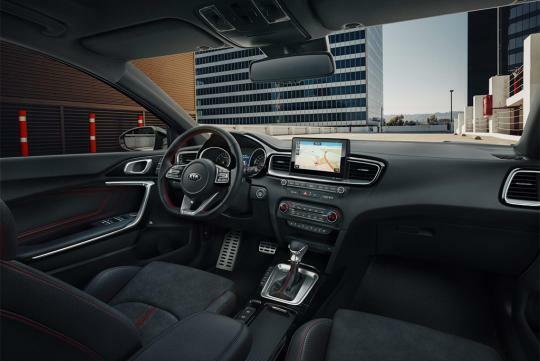 New for this generation, the car gets a seven-speed dual-clutch transmission as an option alongside the standard six-speed manual. Other than the usual go-faster cues like the larger air intakes at the front bumper, red highlights along its now more aggressive side skirt, new GT rear bumper and roof spoiler, the car gets new standard 18-inch wheels, larger red brake calipers and a ride height that’s been reduced by 135mm. Inside, the GT gets a black roofliner instead of the usual grey ones on lesser cars, a D-shaped steering wheel with the ‘GT’ logo, leather and suede sports seats and new metal alloy shift paddles for those who opted for the dual-clutch transmission.